Entrepreneurs who work a fulltime job while running a side business are like double agents or spies living dual lives. They have to give a hundred percent to both sides without compromising either one. Unfortunately most people fail to balance the two by not drafting a workable plan that involves being forthright with their boss. 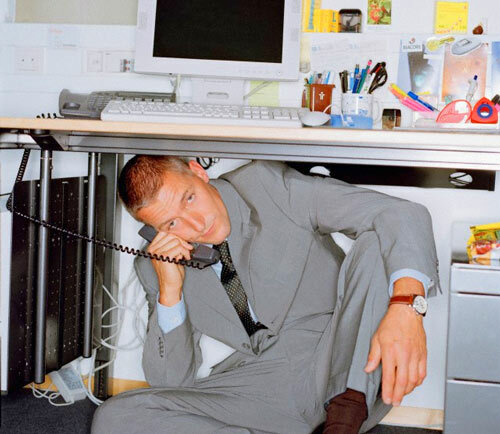 The fear of losing their nine to five cause many to take the sneak approach while on the company clock, but on the flipside, many overzealous entrepreneurs push full steam ahead with their start-up efforts neglecting their desk duties to the dismay of a dissatisfied boss. These six simple steps can help you balance the two to create a win-win situation for your start-up venture and your boss. Unless you have the magical ability to be in five places at once, get extra hands to assist you with your side business. Designate trusted and reliable people with spare time to help you promote your business through word of mouth, social media, and viral marketing. Temporarily sacrifice more sleep and personal time. While others sleep eight hours a night then work a day job, entrepreneurs are working endless hours at night to turn their idea into million dollar reality. You must put in required time at work, but your side business require that you make as much time available to build and promote it when you’re home. It’s not uncommon for new entrepreneurs to work nonstop til sun up. Expect an average of 5 hours per day of sleep during a five day working period. I’m not saying not to sleep, in fact entrepreneurs can suffer badly as described in this article on lack of sleep. You just need to dedicate time during the week to get your short term goals finished. You can make up for lost sleep on weekends. Give One Hundred Percent Effort to Your Fulltime Job While on The Clock. Your boss and your job demands your full commitment. They too were a start-up at one point, but you were hired for a reason. Give your job one hundred percent. Your time off the clock will be yours for personal and side business. Use Work Breaks to Conduct Your Own Business. If you still need extra time during work hours for your start-up, take advantage of work breaks and lunch hours to do simple tasks like checking your emails, calling potential clients, or checking business social networking status and updates. Your boss won’t penalize you for this. Take Advantage of Geographic Differences and Time Zones. Depending on your geographic location, you can still conduct your own company business by dealing with other businesses and clients in lagging time zones. For example, if you work nine to five in the Eastern United States, you can still do business with clients in central and pacific time zones in the West and Midwest. As your day job has ended, you’ll now be free to do your own business with clients in lagging time zones still finishing their work day. Don’t Use Equipment at Your Day Job to Conduct Your Business. DO NOT use your day job equipments to conduct your side venture business. This was a common grave mistake made by many new entrepreneurs before the mass production and accessibility of personal smartphones. All machines and office supplies at your fulltime job are legally strictly theirs, including the email account assigned to you. You can be held liable or terminated for any use other than the company’s business. It’s in your best interest to not do it.